Prologis, Inc., the global leader in logistics real estate, today announced that it has begun construction of a new 28,300 square metre speculative facility at Prologis Park Prague-Uzice in the Czech Republic. 42,850 square metres of additional development potential. The speculative building, as is customary for all Prologis facilities in Central and Eastern Europe, will be submitted for BREEAM accreditation. 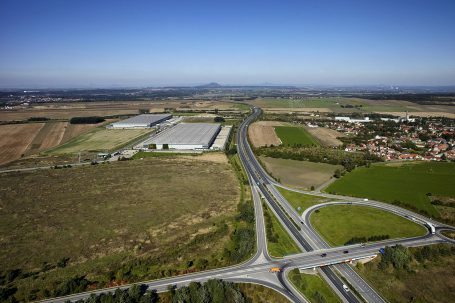 Prologis Park Prague-Uzice is a modern logistics park strategically located on the D8 highway, just 9 kilometres north of Prague. The park currently consists of two state-of-the-art logistics facilities totalling 97,800 square metres. Prologis is a leading provider of distribution facilities in the Czech Republic with more than 1 million square metres of logistics and industrial space (as of 31 December 2017).